This year (2007) is the 20th anniversary of the Gate City Development Corporation. They have helped several businesses either start and/or grow in our town. Most all of them have turned out to be a success. Energy Maintenance Service, LLC (EMS) provides quality cost effective products and services to the wind industry. Our client base includes manufacturers, developers, owners, operators and industry consulting firms from throughout the world. Based in wind-rich Gary, South Dakota with additional facilities in Howard, South Dakota and Tehachapi, California, EMS's de-centralized operations and highly mobile labor force provide immediate access to all major wind developments located throughout North America. Midwest Converter Supply, Inc. is a remanufacturer of torque converters serving a five state area. 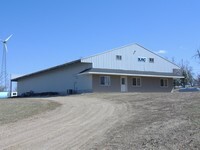 Gate City Developement coordinated the financing for the entire project including a CDBG Grant, DOT Grant and a South Dakota REDI loan, as well as financing for the building from our local organization. It was a proud day for Gary when the Highway Patrol escorted Governor Mickelson into town for the ribbon cutting and open house. K.H.C. Construction, Inc. is a general concrete construction contractor in the area and specializes in wastewater and water treatment plants. 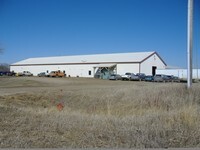 Their building is used for equipment storage. 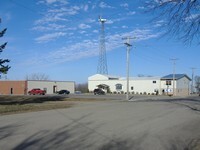 This building was the original home office for EMS and DES with K.H.C. utilizing the back of the building. E.M.S. quickly outgrew the building and moved into their present structure. 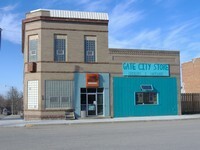 Gate City Store is a building with a lot of history. It was built in 1912 as a drug store and through the years has been used as a drug store, sundries, groceries and hardware. The present ownership retails groceries, hardware and many other lines also. This last purchase was financed by the Gate City Development Corporation. 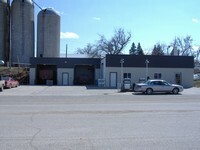 Steele's Service is a full service gas and diesel at the pump service station. They provide complete auto repair service including tune-ups, oil changes, brakes, air conditioning repair and recharging, computer diagnosis, transmission and cooling system flushing, engine and transmission repair and replacement. Gate City Development provided financing for the original station and also for a new two stall addition that was just added this summer. 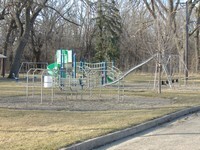 The Gate City Development Corporation also provided financing to install playground equipment in the city park, keeping with the last line of their motto "Improve Quality of Life".